Companies are still missing the marketing bullseye. 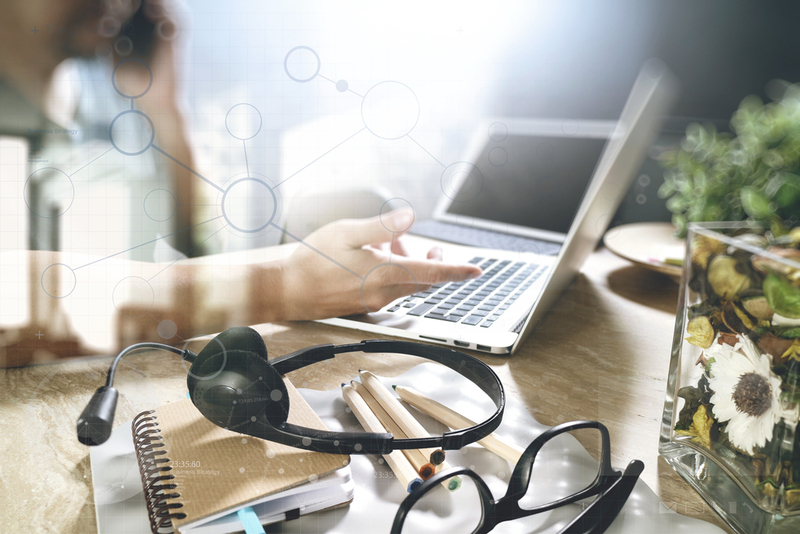 Underused tools and techniques like telemarketing can be the catalyst for new businesses, but many of them are sadly unaware of how powerful they can be for sales lead generation. At Ethicall, we proudly offer lead generation for UK based businesses through telemarketing. And despite what some may claim, telemarketing is not dead. In fact, it is very well alive. Our lead generation services empower your brand to maximise the tools you already use. You don’t want to be missing out on tools and techniques that could put your brand at the forefront in your industry. And one of the most underrated of them all is telemarketing, despite being called the two of three most effective lead generation tools by executive agents around the world. Why Does Your Company Need Telemarketing for Lead Generation? There are a few reasons why your company needs telemarketing for sales lead generation. Does your team have trouble marketing products and services because you don’t have qualified prospects? That’s not uncommon, and it’s also something that telemarketing can easily resolve. Telemarketing gets right to your leads to determine if they are worth the investment of your sales team. After all, even the best salespeople can’t make a goal if they don’t have the right list to work with. Our led generation team gives them a better list to work with. We offer sales lead generation services that examine your list and cut out folks who really aren’t good prospects. The result is qualified prospects you can sell to. And second to qualifying prospects is to nurture them. A study by the research firm CSO Insights showed that when sales and marketing efforts are combined for lead generating, businesses enjoy better conversion rates, at least according to 89% of business selected for the research. Telemarketing is a great addition to any lead nurturing strategy. By outsource this bit and adding your own staff to the process, you can engage your customers on an entirely new level. The best part is as you nurture your leads you are also building a greater rapport with them. When customer know that you care about them, they’re more apt to buy from you when your products circle back around again. Building a good relationship with your customers is just a good business strategy. And something as simple as outsourcing phone calls to a qualified telemarketing company can be all that’s needed to build that connection. 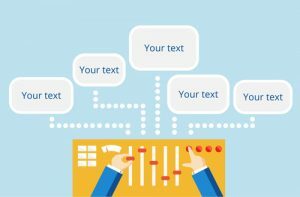 You can personalise your approach, even though it’s outsourced, and build a better streamline of communication that tears down the objections your customers may have. No company wants to spend thousands of their hard-earned money investing in prospects that simply aren’t interested. And even prospects who have shown an initial interest in your business can actually be a bad fit for what you offer. Our job as lead generation UK based business is to filter out those prospects so you can touch those who are firmly interested in what you have to offer. Another important benefit of using a telemarketing business for lead generation is it is far easier to measure results. Successful B2B marketing and lead generation is based on tracking and learning where you are in your performance. The goal of this process is to figure out where you’re making progress and where you could improve. Telemarketing also serves as a quality lead generation tool as it continually puts your business in front of your audience. The more frequently people see your brand, the more likely they are to buy your product or service. Keep your customers engaged and you’ll see better long-term results. Nurturing your leads, connecting with them, and keeping them up to date with your business, is the best way to improve your lead generation process and all of this can be done by a telemarketing company. And if you’re interested in a better lead generation in the UK, contact our team today, we’re happy to help. Your sales team fears one person more than any other—the gatekeeper. These holders of all marketing prospects can put a halt to your marketing strategy faster than you can say “hello.” As cold callers in London, we have tons of experience dealing with gatekeepers. While cold callers in the UK have to deal with slightly cold and direct gatekeepers, there are ways to navigate their barriers. If you’re having trouble getting past the gatekeepers for your business, then it might be time to consider for some pro guidance. After all, your success as a marketer relies on your ability to get around these people to the decision makers. So let’s take a look at a few simple tips that can help you and your team get around these gatekeepers. It’s fairly common to view a gatekeeper as an enemy. While it might be true these people do determine the success of your call, that doesn’t mean you should feel like you’re going to battle every time you pick up the phone. In fact, doing this could dampen your skills and offset your likelihood of success. Instead, it’s better to be friendly, polite, and courteous. Be professional and think about your business’ reputation. If you do you have a far better chance of getting past them to the decision maker at their company. Tip #2. Look at the gatekeeper as a prospect. Another tactic you can take is to view the gatekeeper as a potential gatekeeper themselves. Change your perspective and you might enjoy serious results. Take advantage of what they have to say and guide the dialogue back to where you want it to be. Tell them about all the good stuff your company does to encourage them to see you for what you do best. Doing so might help you get your foot in the door. You’ll also want to ask them to look up your company so they can learn more about what you do—which should be a good sales tactic that leads to more discussion. Tip#3. Don’t waste your sales strategies on the gatekeeper. While it is okay to encourage the gatekeeper to connect with your business, be careful not to try too hard to sell to them. They don’t make purchasing decisions. If you waste your time discussing your company with them you could miss a chance to talk to the person who does make the purchasing decisions. Keep your sales goals up front so you don’t spend time talking to a gatekeeper who has no pull over their organization. Gatekeepers are typically secretaries or junior officers who have the power to control the time of the person who makes decisions. Tip #4. Never lie to them. Don’t think you can get around gatekeepers with dishonesty. That’s probably the worst move you can make. Gatekeepers are used to dealing with people like you. They know what you want and they aren’t naive about your tactics. If you lie to them and end up getting caught, it could damage your business reputation. This, in turn, can reduce your prospects with their company. Your team, or you, should be skilled enough to get past the gatekeeper without lies. If you do want to navigate a particularly difficult gatekeeper, a good tactic is to simply send an email to the decision maker beforehand and let the person know you are trying to follow up on your communication. That’s honest and could get you a conversation with the actual decision maker. Tip #5. Learn their first name. The best cold callers in London are on a first name basis with gatekeepers. They get to know who they are, and even some of their dislikes if available. A good route to take is to view them as a potential new relationship. Talk to them like a person you want to get to know. Ultimately you want to win them over and make them want to say good things about you and your company to decision makers. Tip #6. Call when they aren’t there. Of course, if you’re having a particularly difficult time of it, you can always call on off hours to avoid gatekeepers altogether. The morning time, lunch breaks, and even late evenings are great times to call if you want to catch decision makers without the gatekeeper around. You might still reach an office secretary but that person is far more likely to connect you with the person you want to pitch. At the end of the day, cold calling is a waiting game. Don’t be afraid to be rejected on the first go. If you can stay patient you will be rewarded. The vast majority of sales actually happen on the 12th call, not on the first. So take that approach to get the best results. If you want to partner with one of the best cold calling companies in London, we’d love to help. We can help your company get past the gatekeeper right away. Reach out to us today for more information. Only 15% of people who are prospects are satisfied with their experience over the phone. What does that mean for telemarketing and professional cold callers in the UK? It means there is plenty of room for growth. 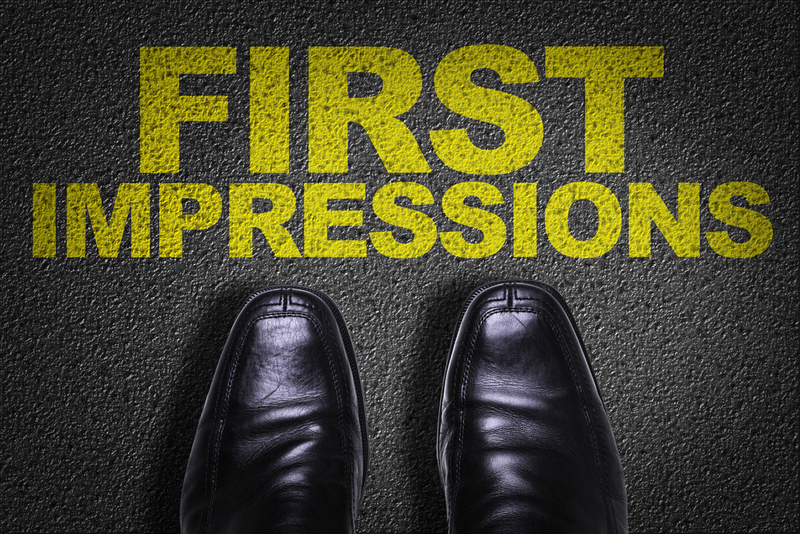 The first impression you leave with your prospects can make or break their opinion of your business. And most people only make a purchase after 12 months of hearing from your company for the first time. That means that the first time you connect with them, whether from UK telemarketing companies you use or from your team directly, you have to be on point with your messaging. Your job is to make that first call more enjoyable for your prospect. Aside from natural charm and good conversational skills, you can make a good first impression on your prospects with a few simple tried and true practices that all good cold-calling companies in the UK use to build a good connection. Let’s discuss a few of these skills and how you can begin to implement them. Every time you connect with a prospect for the first time they develop an opinion about your business. Whether or not they buy from you will likely be determined within that first phone call. It’s obviously crucial that you capture their attention and interest within that first 30 seconds or so. Being pushy—No one likes to talk to a pushy salesperson. Stay calm and relaxed throughout the call to give off the impression you want their business, but not too much. Lie or bend facts—Eventually, you’re disingenuousness will catch up with you. Don’t get caught in a lie because you wanted to make a sale. Be rude—this one should go without saying, but even being rude to the gatekeeper could cost you a prospect. Kindness and a friendly approach to everyone will get you far. Be polite—Always be polite no matter who is on the other side of the call. It can get you the results you want. Get informed before you call—Successful telemarketing companies in the UK know that their success lies much in their ability to understand the market they’re working. Get informed before you make your call if you want to make a great first impression. Be personable, but not too much—Ask questions about how the person is and listen with genuine interest. People can tell when you’re being genuine, so plan accordingly. Body language often dictates our communication and interactions with people. Unfortunately, when we are on the phone we cannot use body language in our favor. However, there are some things you can do verbally to make up for the difference. Experienced and skillful telemarketers know how to use the telephone to their advantage and how to convey their message to their prospect on the other end of the call. Their goal is to create a dialogue that leaves a great impression. One that makes the prospect feel comfortable opening up and making an emotional connection. Interestingly, it still does matter how telemarketers use their body during their phone calls. For example, standing up straight and using power poses before making a phone call helps them appear more confident and in control of the conversation. This translates well, even over telephone communication. By using the body correctly, they can make their voice sound more approachable. This is particularly true if you are advertising to a business. Professional cold callers in the UK now that scripted phone calls are far from the best strategy. They can put people off and sound very robotic. 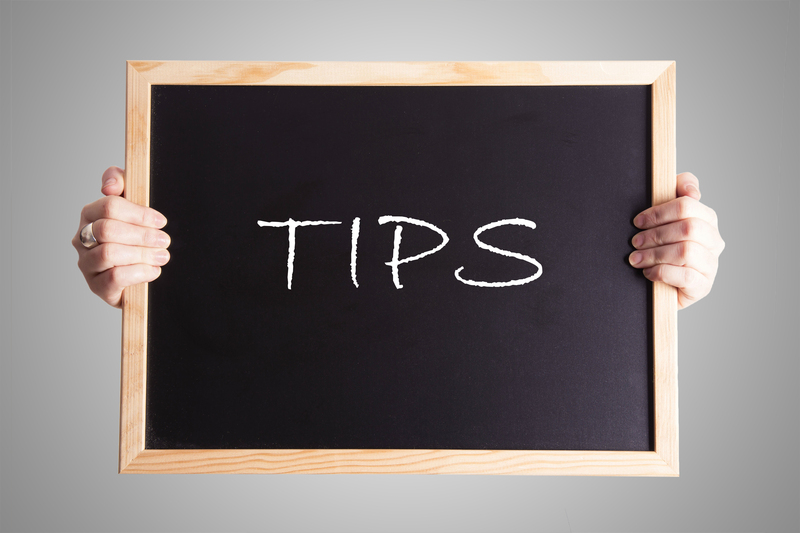 Instead of using a generic sales pitch, be sure to use a comfortable, relaxed and conversational approach. The person you’re speaking to is far more likely to remember you if you take that approach instead of a cut and paste sales script they hear 10 times a day. Remember that the people you’re talking to are individuals, not businesses. They have busy lives, are often stressed and under pressure, and simply don’t have time for useless conversations. Make a good first impression by focusing your attention on the person you’re talking to in the present and don’t use a script to make the connection. At Ethicall, we are among the top cold-calling companies in the UK and know how to carefully provide an excellent first impression for your company. If you want to turn prospects into leads, then contact our team today. We’re happy to get you the desired outcome. 10 Myths About Telemarketing Companies DEBUNKED! It’s 2017, are telemarketing companies still useful? If you own a B2B company, there is no better time than now to use a cold calling agency. But if you’re among those held back by misconceptions surrounding cold calling agencies, today’s post is for you. 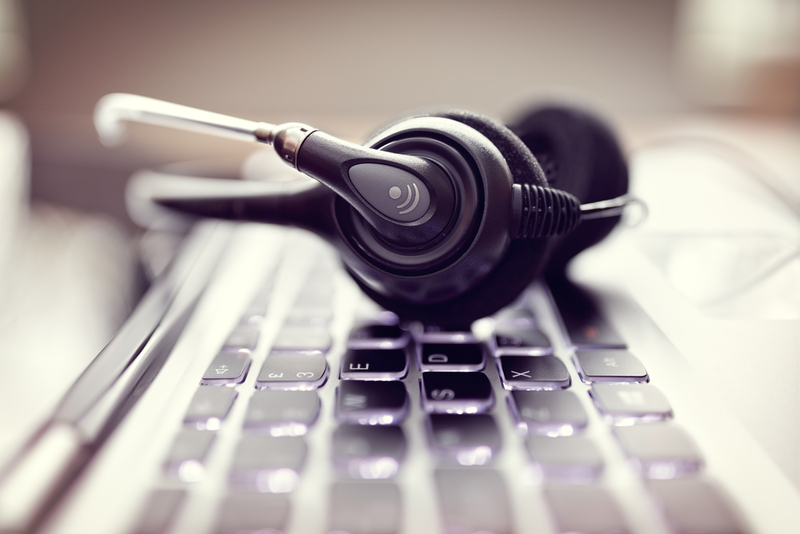 Here are 10 myths about telemarketing agencies that simply don’t hold water. Myth #1. Telemarketers work exclusively from a script. Telemarketing people aren’t those robot miserable souls that the media constantly portrays. They are people who love their job and are passionate about helping people find products that work for them. At Ethicall, our telesales people don’t work exclusively from a script. Instead, they have a few notes about the individual they’re calling and a few important points to bring up. However, they are experienced enough to go with the conversation and lead back around to the product. Generic scripts don’t work. And we don’t use them. Myth #2. They have zero skills and are really just in it for the sale. Ultimately yes, the point of a cold calling agency is to push the prospect of a sale, but that isn’t their sole focus. Good communication skills are a must-have for any successful salesperson, even those who sell via phone. Our team is trained to be professional yet friendly in their approach. The result is a warmer lead for our client. Myth #3. Cold calling agencies outsource their calls to large factory-style agencies overseas. False, not all agencies use impersonal companies to make their calls. At Ethicall, we use a team of highly skilled professionals to make our calls. They have clear communication skills and a strong track record of turning cold leads into sales down the pipeline. Myth #4. They charge extremely high rates and aren’t for small businesses. Telemarketing provides a substantial return on investment. According to Statistia, in 2014 alone, for every 1 British Pound spent on telemarketing, companies earned an average ROI of 11 British Pounds in return. Does that sound like something your business could afford to lose out on? If not, telemarketing is worth the cost. Myth #5. Aggressive personalities are the only type they hire. False. We focus on long-term relationships with our leads and don’t pressure them into saying “yes” as we recognise that does little good for the companies we serve. Instead, we connect with leads who have shown an interest in your products and point out the benefits so they can see why they should say “yes”. Aggressive personality types are the opposite of what we employ. Myth #6. You don’t really need a professional telemarketing company. Telemarketing requires a specific set of skills. Unfortunately, not everyone has those skills, and hiring internally isn’t always an option. Cold calling is not easy either. It is time-consuming and can be emotionally draining if you’re not a professional. Hiring a cold calling agency is a safe decision that gives you a better rate of return. Myth #7. There is a financial risk in using telemarketing agencies. Professional telemarketing companies provide measurable and controllable results and never require full payment upfront. We pride ourselves in putting your company in a position to earn big. Our strategy and business practices are built to give you the upper hand because we believe that when you win, we win too. But we put your satisfaction first and if you’re not happy, we strive to make the situation right. Myth #8. A cold calling agency could never understand our brand like we can. While you have an inside perspective on what your business does and how it outshines the competition, we have a unique perspective that empowers to further your branding. Our company also assigns one telemarketer to your account so he or she can get to know your business from the inside out. The result is the best possible outcome for each call. Myth #9. Too many people do cold calling, the market is oversaturated. While there are many cold calling agencies out there, not all of them do it well. A targeted, strategic approach to each phone call puts your business in a position to succeed. However, because of the frequency of these calls, it is all the more important to hire a company that does their job the best. We’re that company. Myth #10. Telemarketing agencies are outdated. Direct phone calls still reach people. Human interaction is rare, but telemarketing allows people to put a ‘voice’ to your brand creating a personal connection that’s often lacking in marketing. Human to Human marketing was named the “trend of 2015 and beyond” by HubSpot. Are you cashing in on this trend? Telemarketing companies can bring big returns to your business. All you have to do is find a cold calling agency that understands your business and has a good reputation for getting the job done. We’re that company. Contact our team for all your cold calling needs. 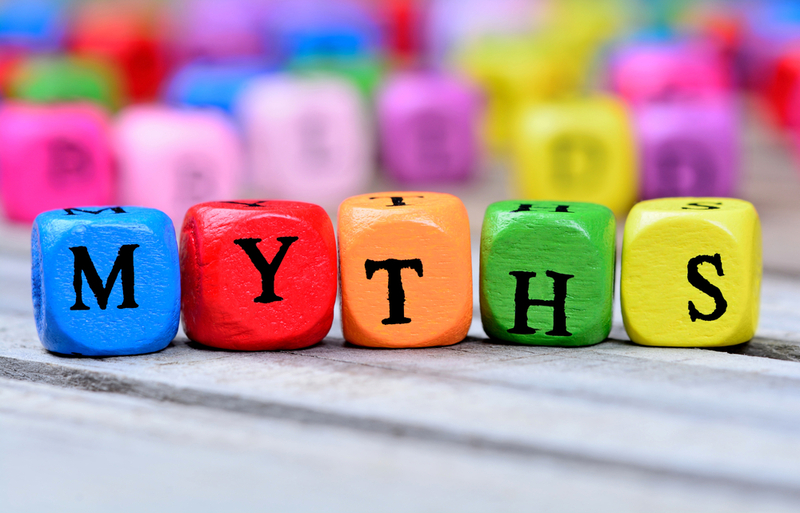 Posted on September 18, 2017 December 13, 2017 Author KristineCategories BlogTags 10 Myths Telemarketing Companies, ethicallLeave a comment on 10 Myths About Telemarketing Companies DEBUNKED! Cold calling works. That is if you do it correctly. As cold callers in Manchester and London, we pride ourselves in offering cold calling services that get real results, fast. To take you into our world of cold calling we’ve shared a few simple ways you can use cold calling services like ours to get the results you want. Data is so important, but what’s more important is what you do with. Before you hand off your cold calling to cold callers in London take the time to understand your data. What does it mean? How can it best serve your goal of turning over sales more quickly? Who at your company should you get in touch with about these numbers before taking action? To strike up a positive interaction, your cold callers need to understand what your data means and how best to use it. The representatives for your company should understand how to set the tone for what you can do for them. This is especially important in B2B cold calling. Grabbing data and analyzing how it fits together with the overall goals for your business is a powerful way to turn skeptics into believers. Once you’ve outlined your data, the next step is to tell us what your goals are for the phone call. Obviously landing a sale or two is the primary goal, but what about the little goals along the way? What is one piece of information you want prospects to take home with them? Is your primary goal to get past the gatekeepers and make an impression on the C-Suite executives? Each company’s goals may differ from the next, and securing the sale isn’t as easy as making a few phone calls. Together Ethicall can work with your team to develop a clear path to success once your goals are clearly defined. Questions are the bread and butter of cold calling services. The better your questions are, the easier it is to qualify prospects. Questions help elicit real responses from participants, not generic yes or no answers. The right questions can cut through skepticism and help the cold caller determine whether or not they should continue the call. Qualifying questions have been around for decades. How much is your annual income? Where do you invest? And so on are questions people are used to answering and likely have an auto-pilot response to. The trick is to develop questions that solicit more than the everyday response. It’s also important to organize questions in a logical sequence. Each answer should tell you more about the person you’re speaking with and push them towards giving you more information. We use this strategy. Our team starts with general questions and works their way to more specific questions. This strategy has helped secure countless sales for our clients. Each prospect has a trigger you can hit if you know what they want. Buying desires aren’t cut and dry. That’s where data can play an important part in guiding your call. The first phone call to a prospect aims to find out what key benefit that your product offers will resonate with them. Qualifying prospects by asking them poignant questions assist with this process, but ultimately it takes a bit of patience and skill on the part of the cold caller. Isolate the most tantalizing aspect of your product. Maybe you have a financial service that provides financial planning. What would make that desirable to your prospect? Do they have children and want to plan for retirement and higher education? Figure out what makes them tick, what their greatest fear or desire is, and then use that in your follow up phone calls with them. As cold callers in Manchester, we take this approach on each call because we fully understand the power of touching pain points. People don’t have to like you to buy from you, they just need to trust you and the product you offer. By building trust in your product and your company you stand a better chance of turning a cold call into a fast sale. If you’re ready to start using cold calling services, we’d love to help. We have years of experience and use these and many other industry-leading techniques to get you quick sales. Contact us today to make us your cold callers in London. Appointment setting is an integral component of any business. It is what stands between businesses and their qualified prospects. Unfortunately, only 2% of cold calls result in an appointment. That leaves companies struggling against a pretty steep challenge. The question is, how can you get the appointments you need to nurture leads? The experts have figured it out. Some use and appointment setting service to connect with potential clients in person. Others ask their sales team to do it for them. Wherever your business stands, you need some sort of skill set to jump that 2% number up to 50% or more. However, there are secrets to successful appointment setting. As professionals, we’ve experienced in securing appointments for clients who otherwise would have ended up being turned down. Here’s how we do it. One of the first rules of appointment setting is timing. Most decision makers aren’t the 9-5 types. They also have gatekeepers who work different hours. Some get to the office as early as 6 am. Others, stay late to 7 pm. The trick is to time your calls perfectly. It’s easier said than done. One way you can figure out the best time to call or shoot an email is to size up your prospect. Do a bit of research about their business and culture. See if they’re more laid back and work later, or more traditional and stick to a tight schedule. This should give you a more accurate picture of when to call. As a general rule of thumb, however, it’s best to call or email first thing in the day. Many do so as early as 4 am (email, not call!). That puts their message front and center for their client before they break into any other task. Get smart about timing to catch your prospect at the best time for them. Preparation is another potent secret of appointment making services. The pros use data bases, information dumps, and other information to prepare before they call. Before you can convince anyone to set an appointment, you first have to know what needs to be said to make them take action. Know with crystal-clear clarity what your value proposition is before you ever make a phone call. You need to know what it is about your service/partnership/product that is enticing to your prospect. Each person is different. Spend time dissecting what their concerns are and how you can answer them. Tailoring your call to your customer is an easy way to increase appointments. Search the company’s values and mission statements and determine their culture before you make your call. Outline these important tidbits of information and prepare your statement before picking up the phone or sending your email. It’s tempting to push people into saying “yes,” but that’s a strategy that will get you nowhere. Not to mention that you don’t want to set appointments with individuals who don’t want to speak with you. Our appointment setting service is designed to use a calm yet seductive approach. Qualified prospects are always treated with respect and not given a copied and pasted script (see the point above). Courteous, respectful, and time-conscious callers have a far better success rate than those who shove a sales pitch down prospects’ throats. Ask prospects questions and answer any they have for you. Never use pressure. Lure and seduce to get the best results. For example, instead of saying “you really need our service now,” you can say something like “we contacted you today because this special offer is about to expire.” Using a sense of urgency is more likely to get people engaged with your offer than pressure techniques. Facts, persuasive language, and customer case studies go much further in securing a quality sales appointment. Another tool to add to your belt is dynamic sellers and scripts. We lightly touched on script writing, but without a good delivery, your message will be dead in the water. Our appointment making service utilizes scripts based on the highlights of what’s being offered. We hone in on the greatest value propositions. We write out the best way to clarify these points to particular prospects. Of course, dynamic sales people also know how to adjust the call to match the pain points the customer has. That’s a skill that’s not easily taught either. Fortunately, we have on staff high-quality sales people who are highly skilled at changing the conversation as needed. They research the prospects’ market to see what they would be most interested in learning about. The result is a well tied together appointment sales call. Should you need assistance with your appointment setting, consider using our appointment setting service. Our highly skilled team can pin point pain points, study and research qualified prospects, and secure an appointment that’s mutually beneficial for your company. If you need an appointment making service, consider using our team. Do You Need Better Data Cleansing Services? Your business runs on information. Every business does. What are you doing to make sure your information is up-to-date? For many, the one and the only way to do this is to invest in data cleansing services. Unfortunately, not every company is built to the same standards. Some companies use outdated practices to obtain the information they’re assigned to find. Data cleaning involves a painstaking process to guarantee all info is accurate, nothing else will suffice. But how can you tell if your data cleansing needs a scrub down of its own? Are there tell-tale signs you aren’t getting the right information? Let’s answer that question by looking at a few of the side effects of inaccurate data. According to a report from RingLead, bad quality data costs companies some $14 million plus per year. 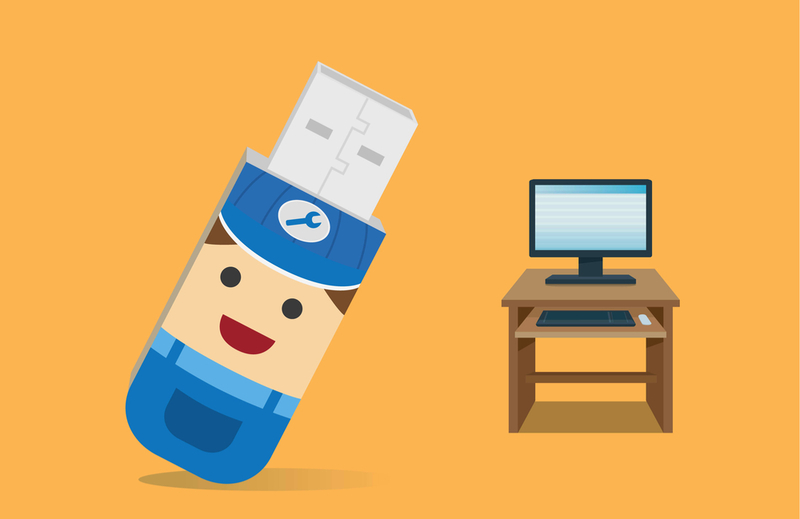 Also, approximately 20% of all companies’ data is ‘dirty’ or outdated. Can your company afford to lose millions each year? Probably not. But how does it directly affect your revenues and budget? Bad data results in wasted time and leaves your team working overtime to accomplish nothing. Sending invoices to the wrong address, following up on leads via old phone numbers, and sending emails to inactive accounts does nothing but waste time. If you notice your marketing budget isn’t producing the results you want, it could be time to take a cold hard look at your data. Does your data cleansing service rarely contact you? If so, the data your team uses could be ‘dirty’. Pro data cleaning companies understand the importance of scaling and expanding data as your business grows. They know how to adjust to speed, volume and demand and can keep your data valid and consistent. A bad data cleansing company will cost you money and that cost will continue to increase year after year. If you aren’t receiving consistent, accurate and timely updates on data for your company, it could be time to look elsewhere. In contrast, a company with quality data could save some $1.8 million in revenue in a single year. We’re sure you’d prefer to be in the latter of these two categories. The best data cleansing services are able to quickly and easily integrate data for several departments. For example, your marketing team, sales, and accounting departments should have quick and easy access to your data. If you find that your team is having trouble getting the information they need to perform their job accurately, it could be a data problem, not a productivity problem. Ease of integration between each department will also save you money on overtime and other similar budget drainers. Smooth integration between each part of your team will also increase morale and make your working environment all the better. Not convinced? Check out what Channel Marketer Report has to say about the importance of data integration. Did you plan your quarterly and annual sales only to be sorely disappointed by the results? The reason could be bad data. Your competitors likely have good data on their side, or at least you have to assume that they do. With that in mind, how can you plan your marketing, advertising, and targeting efforts if you have limited data or data that is completely useless altogether? KissMetrics discussed how companies that are making quick decisions that aren’t backed by quality data suffer big time. You don’t have to be one of these companies, however. There are ways to navigate data and get the best results each time you revamp your marketing strategy. Clear and concise data that targets your ideal customer is what your business needs. Businesses who use data cleansing services that remove the wrong customers are almost worse off than companies who don’t perform data cleaning at all. What you need is to use data that has been clearly vetted, reviewed, edited and finalised by a company that fully appreciates and understands the value of high-quality data. That company is Ethicall. We take pride in delivering data cleansing services that are dedicated to making your company better. Don’t let your customer service suffer because you don’t have the right data. Don’t be among the 28% of companies who have trouble delivering email because they have bad data. Instead, maintain quality records and improve your data and customer service by using services designed to keep you in business. Contact the Ethicall team today to learn more about how data cleansing services can make all the difference in your bottom line. Posted on June 19, 2017 July 2, 2017 Author KristineCategories BlogTags Data Cleaning, Data Cleansing, Data Cleansing Services, ethicallLeave a comment on Do You Need Better Data Cleansing Services? Did you know that an effective conversation with a telemarketing agency can increase engagement in your business by 800%? What could your company do with 800% more engagement? A whole lot, we would bet. 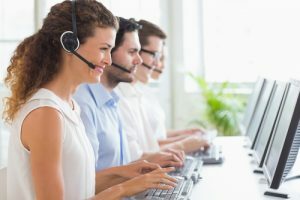 You might be thinking that telemarketing is an outdated technique, that it doesn’t work for B2B sales, or maybe you simply don’t know how to use it effectively. Well, we want to change the way you perceive telemarketing agencies, not just because we’re telemarketers, but because we genuinely know it to be an excellent way to increase engagement and nurture leads. Consider these clever ways that using B2B telemarketing can maximise your sales funnel. The best part of telemarketing is that it works well with any part of your pipeline. It can also help fulfill countless objectives. Whether you want to warm up prospects with cold calls, need to handle compliance calls, or want to vamp up your project, it’s one of the best resources. 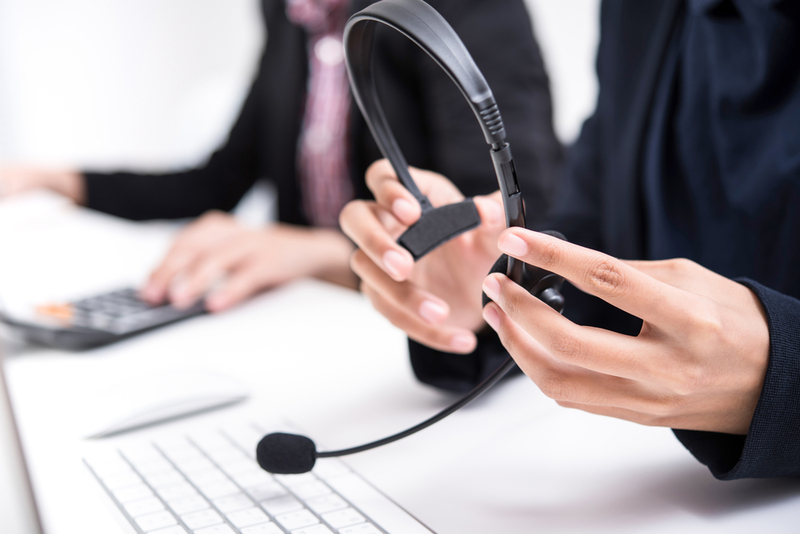 Experts agree telemarketing can be used for list building (starting out the sales funnel), garnering email opt-ins, converting leadings, setting appointments, and even helps with market research. Once you’ve made the sale, telemarketing can also be used for customer satisfaction follow-ups. Adding value every step of the way is the goal of any good sales funnel, and offsetting costs by handing that task to qualified and talented telemarketing agents improves value and visibility. 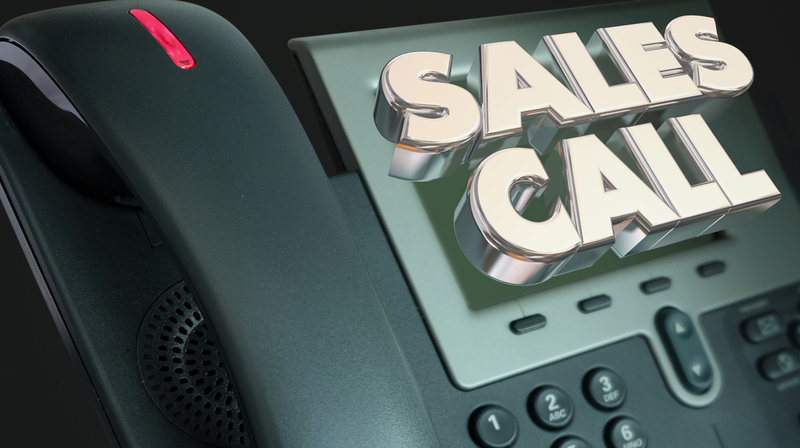 Some sales tactics are ridged, but telemarketing isn’t. It provides complete flexibility for your sales funnel. For example, if you’re launching a new product that you need to generate interest in quickly, a telemarketing campaign can be highly effective in reaching your contacts. Other marketing strategies are vague, at best, in turning up tangible results. Another advantage is that you can easily turn your campaign off if you’re no longer interested in investing it. Once you need it again to revamp marketing efforts all you have to do is contact the telemarketing agency that you used previously. You can also simply slow down output if you need to get your budget back under control but don’t want leads to go stale. It’s the perfect solution for an effective B2B sales funnel. Human interaction is fundamental to our species. We’ve embraced technology, for what it’s worth, but that doesn’t eliminate the fact that we respond better to brands whom we feel a personal connection with. Expert content marketer and blogger Neil Patel notes that b2b marketers use 13 different content marketing tactics to reach audiences, however, the results don’t always generate a good ROI. Telemarketing allows you to connect personally with your audience via a real human being representing your company. Telemarketers are highly trained and know how to create a connection that goes beyond the surface with your audience. Using that psychology, as it were, they penetrate more deeply and serve as an excellent resource for any B2B marketing sales funnel. Even if the prospect answers ‘no’ on the first call, the second marketer may have a better conversation or at the very least can build a relationship that eventually leads to a sale. Sounds boring, sure, but telemarketing allows you to easily track the results you’re getting and what isn’t successful. Why is this so ‘clever’? Because it’s rare for many companies to have a full picture perspective of what their audience thinks about their product or services. For B2B marketers it is even more important to get inside your audience’s head. It could be the difference between beating out the competition and succumbing to their prowess. Additionally, some 20% of sales data is outdated, and telemarketing is one of the best ways to define whether your data is accurate. If it’s not, it could be costing you big time. Using telemarketing agencies to clean house on your data could serve your sales funnel from start to finish. Perhaps one of the more obvious ways telemarketers are beneficial in your sales funnel is the fact it helps you close the sale. Persuasive telemarketing agents can be extremely effective, and if they see an opportunity to nurse your leads to complete closure they really are priceless. As a secondary benefit, they also help build a referral basis if the person they’re speaking to isn’t interested. They do this by getting on the phone with someone who will be. That is an invaluable skill that any B2B sales funnel could use. Need help with your B2B sales funnel? Then we’d love to help. Our agents are trained to help you nurture leads, build your list, and close the sale on the first call. Contact us today to learn more about how we’re just the partner you’re looking for. Marett & Messenger are a creative media Company based in Devon, helping companies bring their commercials to life without the extensive cost that is usually involved. To build a niche list of companies local to Marett & Messengers head office in the first instance and to then speak with the company directors or Marketing/Sales Directors to organize meetings for the director to get in front of potential clients to explain all the benefits of using TV to promote their company. Arrange to send them one of the company’s fun and exciting emails telling them all about how we have helped others. Call back and arrange either a telephone or face to face meeting. A B2C business sells insurance. They have a handful of employees who use social media and blogging to get the word out about their business. But they’ve run into a hiccup. People just don’t know who they are. They can’t seem to connect with qualified leads. Building brand awareness is far from easy. It requires patience, dedication, and an understanding of what works, and what doesn’t. Your small business has to go where customers are if you want them to know about your business. What is one thing nearly all of us have glued to our person? Our cell phone. So, if you want to make a big splash with your customers, you have to use this tool to your advantage. On about 70-95% of calls, telemarketers reach voicemail, but that doesn’t mean automatic failure. Every time you call someone in your audience you’re building brand awareness. Even if your call goes to voicemail your customers still learn about your business. While you may not be directly interacting with your customers, and while many do delete any message when they don’t recognize the source, a small percentage listen all the way through. At the very least this means they hear your brand name and may remember who you are in the next communication. 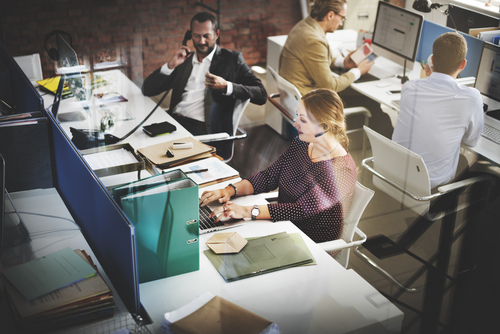 Businesses without a significant presence in the market can use telemarketing professionals to spread awareness about what their company does, right where customers are. Remember the Marketing Rule of 7. Customers must see or hear from you at least 7 times before they take action (call or buy your product). Businesses in London can also hire a telemarketing agency in London to help maximise each interaction through professional sales communications. Often, business communication only goes one way—from the business to the customer. But expectations are changing. Social media has changed customer expectations, and more people than ever before expect to communicate directly with professional representatives. 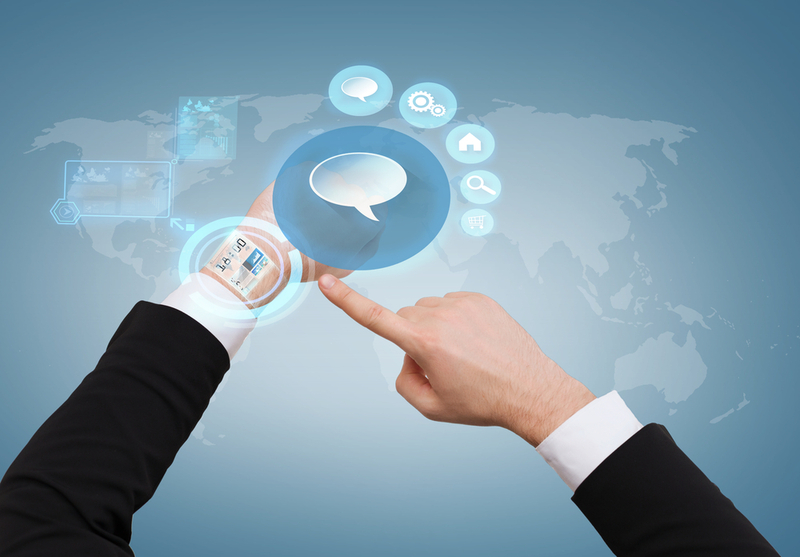 Recent trends prove customers want the opportunity to provide you with feedback along with having direct communication. Telemarketing professionals can link your business with customers, effectively giving them what they’re looking for. It’s also important for those professionals to understand your business and know how to properly answer customer inquiries. Training is paramount, as is working with a team who can effectively communicate complex subjects. If done correctly, telemarketing can serve as a platform for two-way communication between brands and customers thus building trust with leads. Instead of guessing what your business does, telemarketing enables you to tell people exactly what you’re about, so they don’t learn about you through your competitors. Jumping ahead of negative competitor characterisations is critical, particularly for new businesses. Professional cold callers in London take this burden off your plate. Instead of worrying about beating out the competition, you should be focusing on marketing strategies and refining your product or service. Cold callers give you peace of mind while providing a clear picture of who you are in the minds of your audience. You can push all the advertising campaigns you want, but if people feel like you’re a fly-by-night business, you’ll never get off the ground. Telemarketing is a more personalised way of connecting with your audience. It builds credibility by starting a conversation about your brand, one they wouldn’t normally have. It’s equally important to have a script that helps build credibility with customers. Most marketing activities advertise instead of communicating what your brand stands for. That can be confusing. A telemarketing agency can help mold your messaging in your favor, instead of allowing your audience to draw their own conclusions. Having control over brand awareness is equally important. Directly engaging your customers or prospects gives you the power to control your brand’s image. When you’re ready to take control over your branding, contact our telemarketing agency in London. We have a team of professional cold callers in London who are ready to build your brand in all the right ways. Contact us today to learn how telemarketing professionals can play a major role in generating sales for your business.